Emeka Muonaka, Brand Strategy and Communications, AXA Mansard Insurance Plc (Middle) receiving the award for the Outstanding Insurance Company of the Year from Chief Babu Akinbobola, Chairman Media Link Ltd (Left) and Ephraim Chimezie, Creative Designer, AXA Mansard Insurance Plc (Right) at the Marketing Edge Brand and Advertising Excellence Awards held in Lagos on Friday. AXA Mansard Insurance Plc, a member of the AXA Group and global leader in insurance and asset management, has emerged as the Insurance Company of the year. 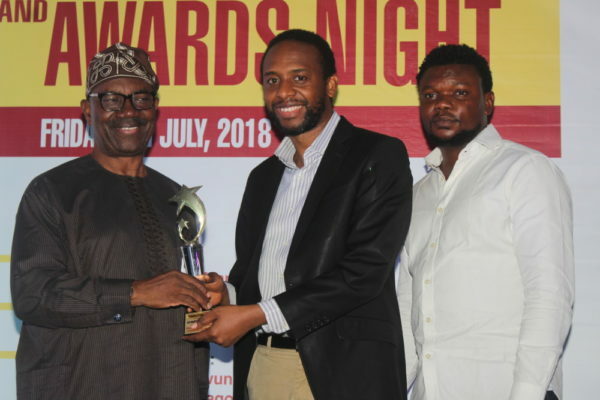 The announcement was made at the 6th edition of the Marketing Edge Brand and Advertising Excellence Awards which took place in Lagos last weekend. The award presented to AXA Mansard Insurance Plc was in recognition of its excellent service delivery and immense contribution to the Nigerian insurance sector as well as the country at large. Marketing Edge Brand and Advertising Excellence Awards is an annual event that recognises and celebrates outstanding personalities and brands for their contributions in their various industries. The award, in the last six years, has become the benchmark for recognizing and celebrating talents and milestones in the integrated marketing communication industry in Nigeria. 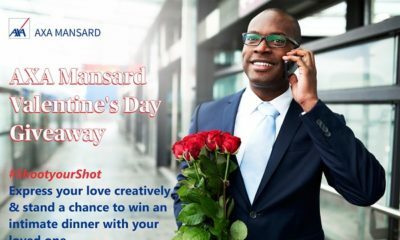 Recently, the organization launched MyAXA Mobile App, an application designed to bring real value to the life experiences of its users by providing a more convenient way to purchase and manage their AXA Mansard product plans. The app is available for free download on the App Store for IOS users and Play Store for Android users respectively. The app is secure, all payment information is strictly confidential and global security standards have been employed to protect users’ information.